Tables are important in the furniture landscape of every home, since life takes place at them: dining, writing, working, talking, celebrating. 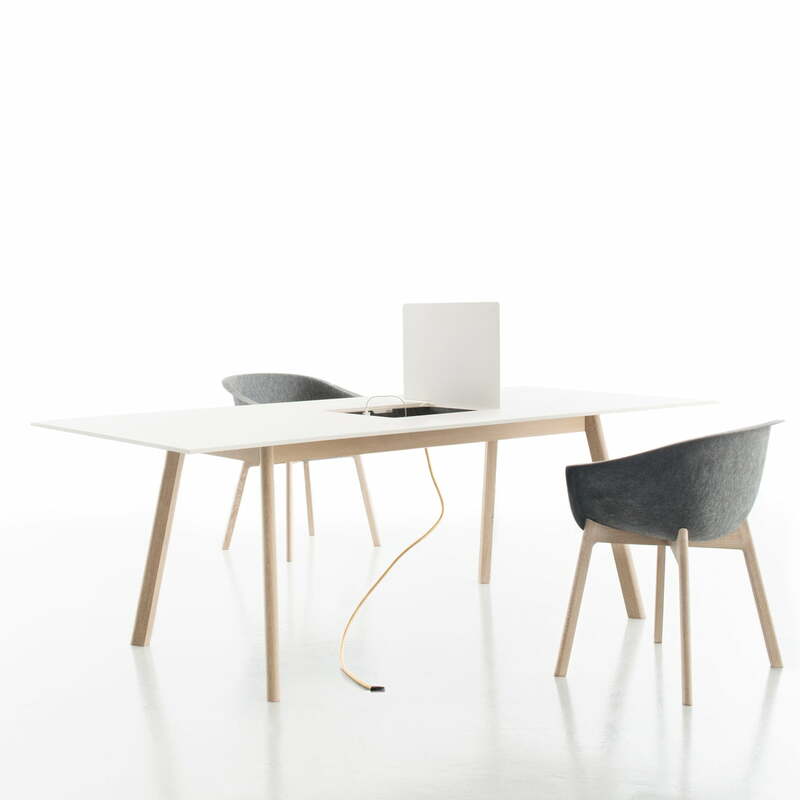 The Pad Table by Conmoto gives another compartment to tables, in the real sense of the word. The large multifunctional table is able to hold communication devices and to connect them directly with the table. 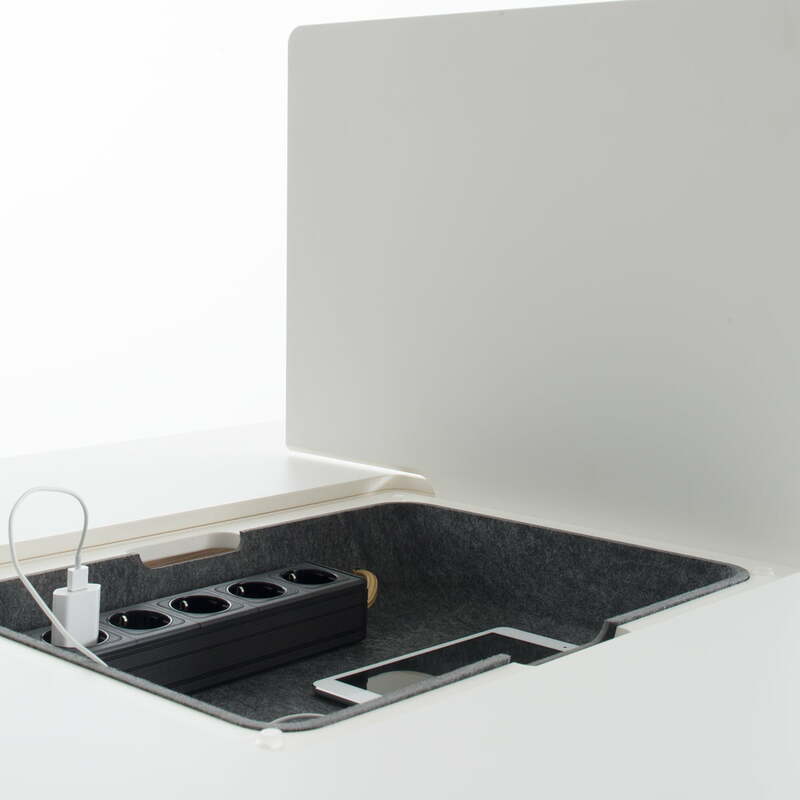 In the compartment under the table charging devices, cables, tablets, laptops and all kinds of devices hide. The compartment made of felt inside of the Conmoto Pad Table is also suitable for keys, wallets and further small items. 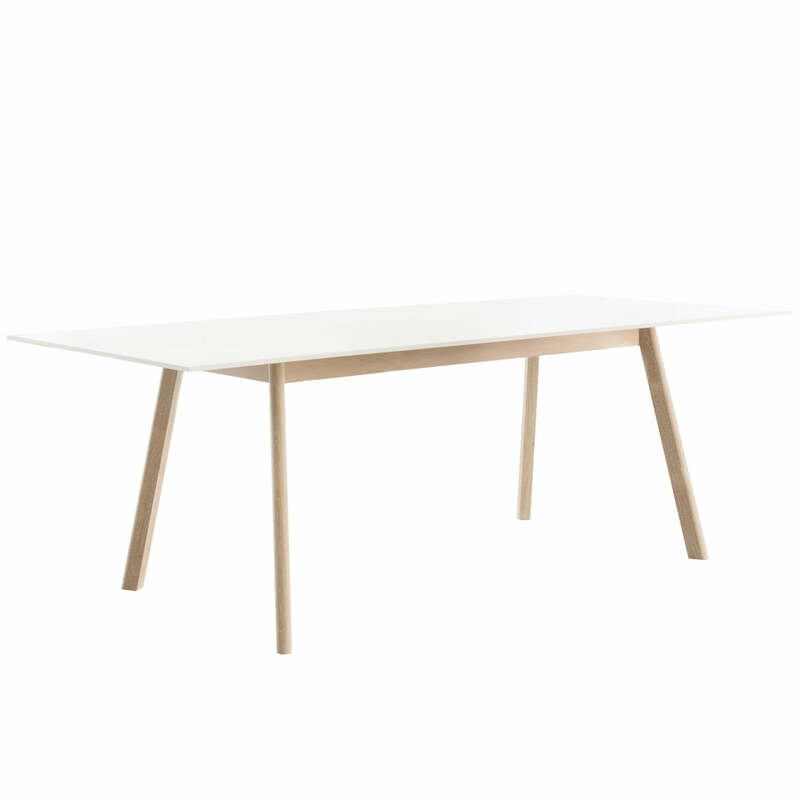 The Pad Table was designed by the A&W designer of the year 2014 Werner Aisslinger. The cover of the Conmoto Pad Table is suitable as “privacy panel” if needed, since it divides the table in two. This makes sense when one person works at the table and the other one reads. The functions make the table equally suitable as dining table, living room table, and working desk equally, or in other words: as the central point of the home. 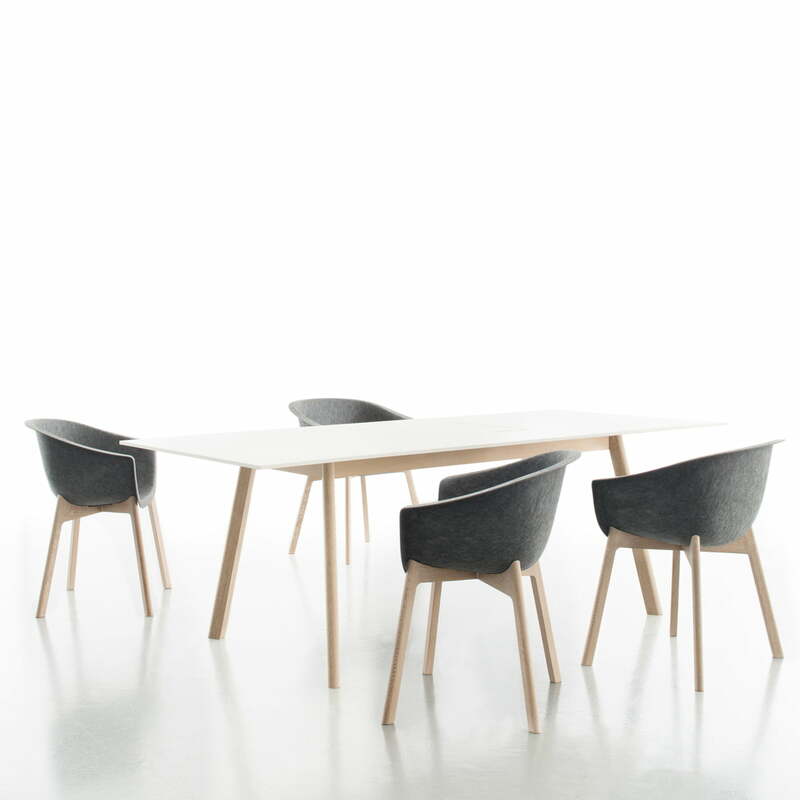 Conmoto produces the Pad Table with a base of massive oak wood, a compartment of form-fleece-felt and a table top of CCL (Colour Compact Laminate). CCL is a material which Conmoto developed especially for furniture: The material has a hard paper core which is coloured and laminated. As usual for Conmoto, the material is robust, sturdy and easy to clean. The Conmoto Pad Table is even more impressive in combination with the chair Chairman and the other products of the Conmoto Pad Collection.